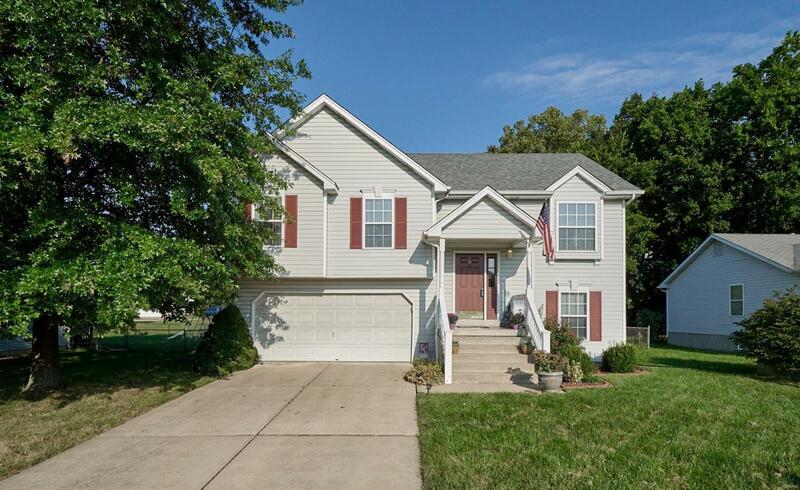 Beautifully updated and well maintained split level home in the heart of O'Fallon. Location, location, location! Close to all the shopping and entertainment and also an easy jump up to Highways 70 and/or 364. The main level boasts 2 good sized bedrooms and guest bath along with a great sized master bedroom with en suite. The kitchen has newer laminate floors with updated counter tops and cabinets. Walk through the sliding door onto your newly remodeled deck overlooking your huge level back yard which has great mature trees for privacy and sun shade! The walkout lower level features a huge rec room perfect for entertaining all your guests! There is also a rough in for a future bathroom along with laundry. The HVAC (2018), water heater (2016), and roof (2011) are all newer so you can rest assured they will be around for the long haul! And to top it all off, the garage is 25 feet deep and perfect for extra storage or that work bench you've been wanting to put in!